The Moose Hide Campaign has launched a new education initiative aimed at K-12 students as part of its drive to end violence against women and children. 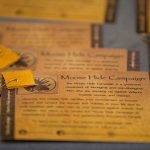 The Moose Hide Learning Journey was launched along with the eighth annual Moose Hide Campaign Day gathering, fasting and Walk to End Violence. The walk ended at the steps of B.C.’s Parliament Buildings. By helping teachers create a supportive learning environment, the Moose Hide Learning Journey encourages students to explore values and perspectives that honour and respect women and children. The online platform, which has been piloted in a number of schools throughout the province, provides lesson plans, videos and other resources. The campaign’s youth focus is highlighted this year through a youth plenary session attended by high school students and their teachers. 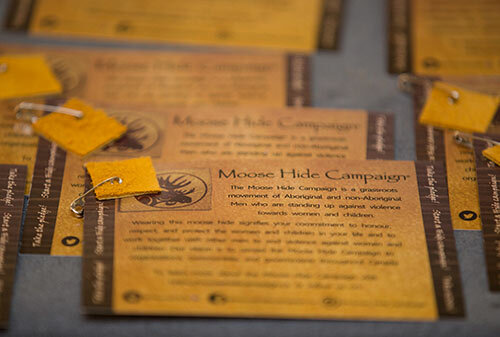 The inspiration for the Moose Hide Campaign came from a hunting expedition in 2011 near Highway 16. Paul Lacerte and his daughter Raven skinned a moose on their traditional territory to feed their family over winter. The proximity to the Highway of Tears sparked the idea that moose hide could be used as a symbol to stop violence. The campaign aims to further expand its reach throughout B.C., Canada and the United States and has an ambitious vision to see one million people fasting together in ceremony on Moose Hide Campaign Day in 2023.